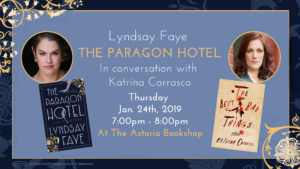 Join us on Thursday, January 24th at 7pm to celebrate the launch of Lyndsay Faye’s newest novel, The Paragon Hotel. In Lyndsay Faye’s intricate new book, a gutsy gun moll flees Prohibition-era Harlem for Oregon’s elegant Paragon Hotel, where the exclusively black residents and a chilling missing child crisis unlock new worlds she couldn’t have imagined. 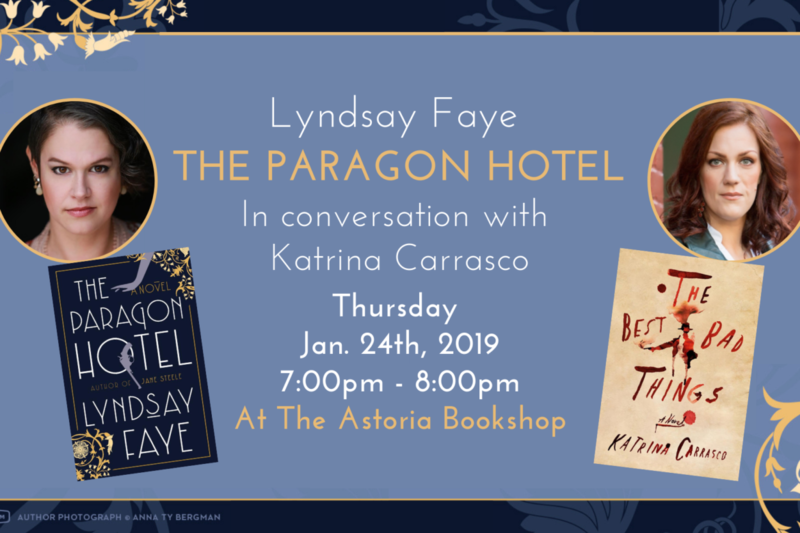 Lyndsay will be joined by Karina Carrasco, author of The Best Bad Things.